Here's a few other things that have filled my week! 1. I signed up for the Women's Half Marathon, in September, in Nashville! This was my first half last year, and I absolutely loved it! When I got an email saying they were offering $20 off registration for National Running Day, there was no way I could not sign up! I'm SO excited to run this again! 3. 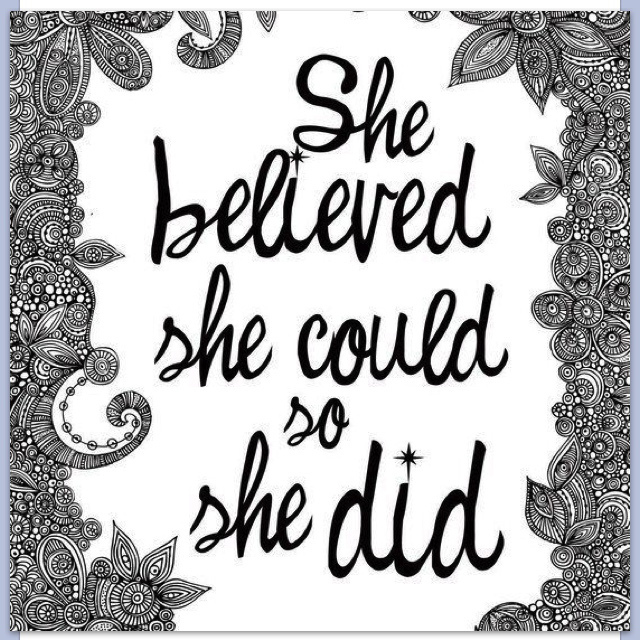 I am ending week 1 of Chicago Marathon training! It's been great. I just can't tell you how much I love training again! This week was a 4 mile run Mon, Wed and Fri. And then 8 miles tomorrow (Saturday). This was my run for National Running Day. 4. Tonight I'm going on a hot date with this chick. Hmmm...should I go blonde again? We're going to the River City Winery, wine tasting, live music...perfect way to relax and unwind. 5. And last, but not least... tomorrow is the 5k race I've been talking about FOREVER, letting you know that I will finally get a sub 30. I will, I will, I will. I have been working SO hard for this, and I really believe I can do it. I know some people don't put their goals out there, just in case it doesn't happen, but I have to. Tell me something good! Anything at all! You've got this!!!! You can do it!!!!! You've got it! Good luck and Yay for signing up for the Women's Half and Marathon training! Nah...I used to be blond too...blonds do NOT have more fun. ;) I've got my 10K tomorrow, I'll think of ya while I'm running, I know you'll sub 30! I have that book in my wish list, just haven't gotten it yet. Thanks, Karen! I would have to agree with you about the blondes! I have just as much fun as a brunette! Good luck at your 10k!! You'll get your sub 30. My good thing is 3 more days of work (school) til summer break. You're going to do AMAZING at your 5K! I'm so proud of you already! Just remember to start off a little slow and finish fast! Pace yourself! I'll be cheering you on and think of you when I hit the 3.1 mark during my half tomorrow! And something good to tell, my husband is going to watch me run tomorrow! He hasn't been able to with races being so early and him watching our daughters, but we found an overnight sitter to watch the girls so that he can travel with me and watch me run tomorrow! I'm so stinking nervous for him to watch me! How random! LOL! Thank you sweet girl! I'm SO proud of you running your first half tomorrow!! I know you'll do amazing, you're so fast. That's so exciting that your husband gets to watch you! Can't wait to hear about it! I'm determined to get my sub 30 5k on Sunday! We can do this!!! WOohoo! Ok Cecilia, yes we can! Let me know how you do! Yes you do! Thanks Teresa! And I have the Scott Jurek book, but need to finish Finding Ultra by Rich Roll first! If you haven't read it - it's a great read. I'll add that book to my list!! Good Luck tomorrow!! You can do it!! It gets tough during 5Ks but it's over with fast. Can't wait to read your report!! I'm pacing for a huge 10K tomorrow so that means that I will be running slower than I would if I was racing. I will be running the recommended long run pace for my marathon training so I guess it's my first long run for Chicago!! Thanks Lorenda! Can't wait to hear how your 10k went! I'm sure you did amazing! Thank you! I'm thinking I might do it next Spring! I am so glad you are loving Scott's book!! I seriously DEVOURED that book, it was just so good. I want to read it again! I'm almost done with it, I agree, it's excellent! Iam sure your race went as you planned it to go. I think I'm liking the brown better too. Thank you Z! 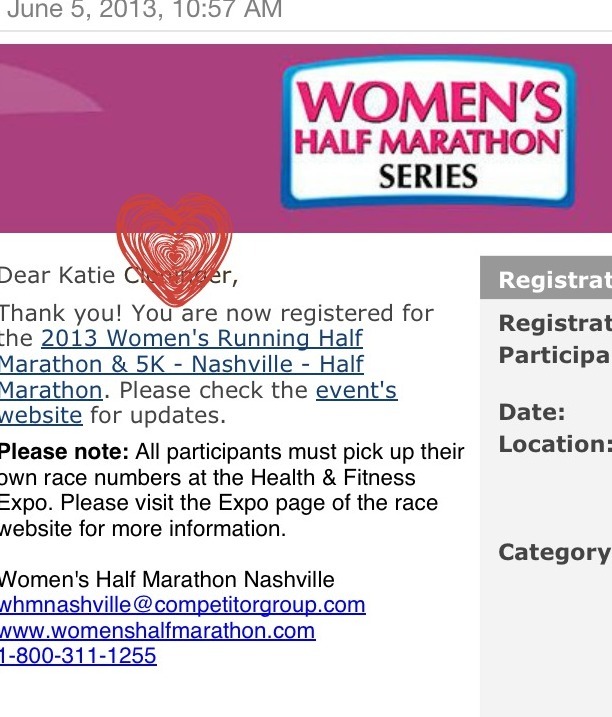 I'm thinking about signing up for the Women's half in Nashville! A friend has decided she wants to do her first half marathon and since she loves Nashville it's perfect. If we register I'll let you know. Would love to meet you!